Why Do All Websites Look the Same? Google has been at the forefront of improving the web and establishing best practices, it’s why you no longer see websites that look like this: The World’s Worst Website. With that said, Google has stated preferences for certain technologies, font families, and site organization – all of which contributes to a more uniform look across the web. By following Google’s best practices, your site is rewarded with improved visibility. On the flip side, failure to adhere to these practices may negatively affect your search engine ranking. 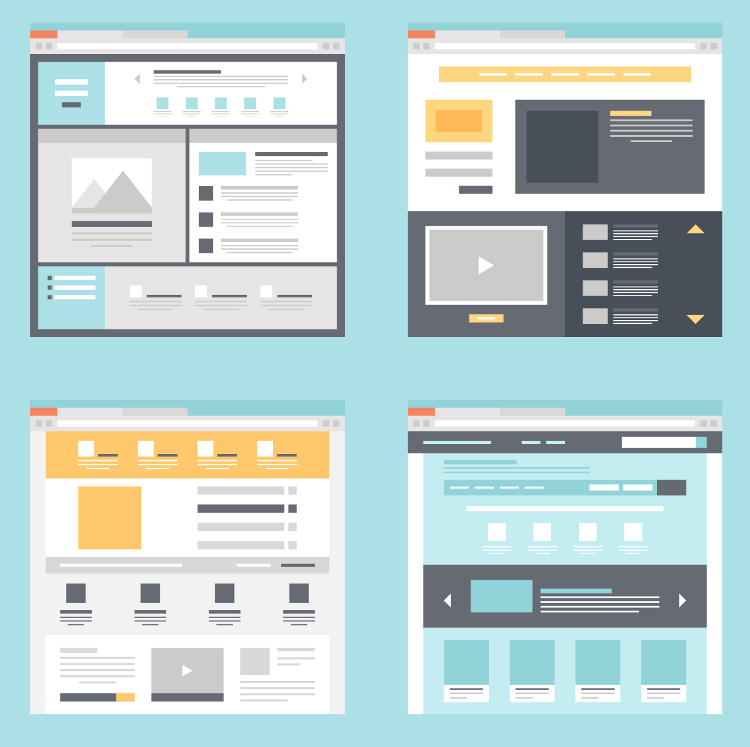 Responsive website design utilizes a grid system to make page layouts that are optimized based on the device a visitor is using to access the website. The grid organizes content so that viewing across all the different sized screens (desktop, laptop, tablet & mobile) is aesthetically pleasing and easy to view. While the grid system has drastically improved the usability of websites across platforms (especially mobile) it creates consistent sizes and shapes that, once again, add to a more uniform look across the web. As the web has evolved, users have become familiar with certain set-ups and have come to expect certain components to reside in familiar areas that function in expected ways. By adhering to website norms, a website is more user-friendly and will be less confusing for visitors. The goal, after all, is not to create a super exotic website but to create a dynamic marketing tool that works on all devices, browsers & operating systems, generates leads, converts customers and helps your business grow. The web has been a ubiquitous part of our everyday lives for going on two decades. We know what works and what doesn’t work. At Big Tuna we adhere to many tried and true methods for conversion as well as industry best practices that have proven strategic advantages. It’s not just you… as the web has become more streamlined and built to work across various technologies, there has been a convergence in design. While there has been a bit of a loss in uniqueness (think Myspace vs Facebook) we feel this change is more than made up for in accessibility, consistency, reliability and most of all effectiveness.